Sensational news from the Premier League is out claiming that Manchester City are ready to launch an £80 million spending spree this summer. The Manchester Evening News claims that the Eastlands club will launch an £80m-plus summer market campaign aimed at wrenching the Premier League title back off Manchester United. The cash rich Premier League club are currently working on a list of targets – including Tottenham winger Gareth Bale, Napoli striker Edinson Cavani, Atletico Madrid’s Radamel Falcao and Malaga winger Isco – in a bid to land two or three top-quality stars to boost their squad. 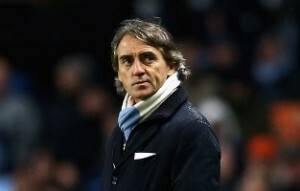 And with manager Roberto Mancini urging that sporting director Txiki Begiristain moves quickly to nail down their top targets, the Blues are hoping to announce their first capture shortly after the end of the season. That would also send out a message to United that the Blues intend to hit back hard in next season’s title race.